"We shall now do this: We shall only have one dish (or bowl) in which will be placed one beaver tail (spoon) and we shall all have coequal right to it, and there shall be no knife in it, there would be danger that it might cut someone and blood would thereby be shed." 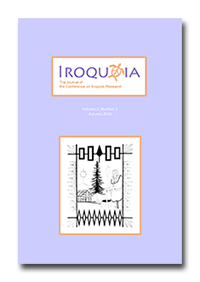 Since 1945, The Conference on Iroquois Research, as it is more formally known by its founders and supporters, has provided a unique collaborative forum for anthropologists, archaeologists, sociologists, artists, ethnohistorians, historians, linguists, and Native scholars and Elders whose research focuses on the Haudenosaunee. 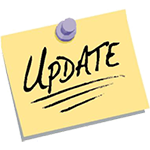 This academic retreat fosters a holistic approach where native and non-native researchers from all disciplines share the same podium with only one session in progress. Although the venues have changed over the last half century, from its informal encounters at the Allegany State Park administrative building in Red House, the focus, the spirit and the integrity of the conference continues to burn brightly. Come join us at the Wood’s Edge. 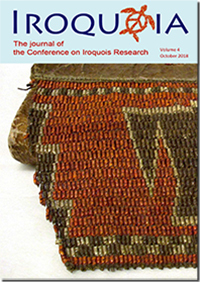 Since 2009, the conference has been "on the road", to use the vernacular, to allow different Haudenosaunee communities to host the event and to encourage local scholars from those communities to participate. 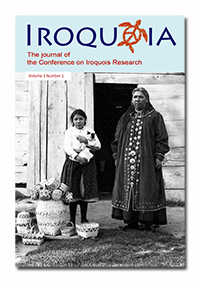 Past programs are now accessible online and the launch of the much anticipated peer-reviewed journal, Iroquoia, will help strengthen the organization's commitment to formally document some of the scholarly discussions fostered by the conference. Lastly, in order to assist young scholars, new scholarships have been launched as a attribute to Mary Druke Becker (1951-2006) - organizer of the conference for many years, North American Indian Traveling College founder, Ernest Benedict (1918-2011), and his daughter, educator and cultural historian Salli Benedict (1954-2011). Haudenosaunee, an autonym of the Iroquois, means "people of the long house." Many have suggested that the name, Iroquois, was a “given name” by neighbouring Algonkian-speaking people, which was later adopted by Europeans. The Haudenosaunee or the Iroquois Confederacy originally consisted of 5 nations. From east to west, this alliance between the Mohawk, Oneida, Onondaga, Cayuga and Seneca, would later expand to include the Tuscarora in 1722. It must be noted that the Haudenosaunee have also absorbed and adopted many other peoples into their cultures. Today, while most Haudenosaunee live in 18 communities, located predominately in eastern North America, (U.S. N=10, Canada N=7, Canada and U.S. N=1), some have taken residence in more urban settings.